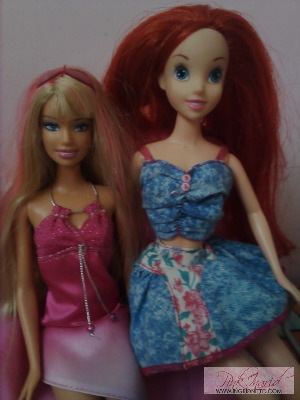 Let me give you a short backstory: Ariel and Elle really didn’t get along well at first. 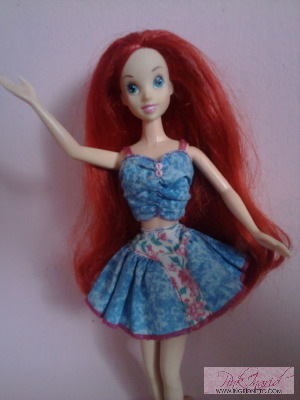 Elle is the modern California girl while Ariel is a mermaid princess who can choose to walk on her legs whenever she wishes. They’re from different sides of the world. 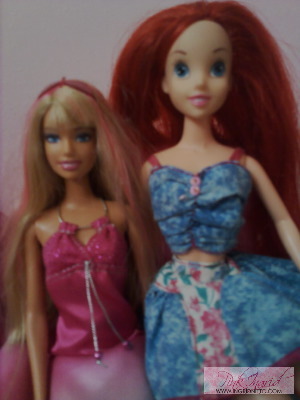 The red head is from Atlantica and Blondie’s busy getting the love of her life back at Harvard Law. Today however, I noticed that they gravitated towards each other. I don’t know what happened! Elle sits on her pink chair. …and they share the seat! Are they just putting this on for me?